After the craziness of recruitment and bid day is behind you, it’s time for A-List to remind you that you can never spoil your new sisters enough! We got some new products for those new faces because it’s never too late or too early to get gifty. No hassle, give them tassel. 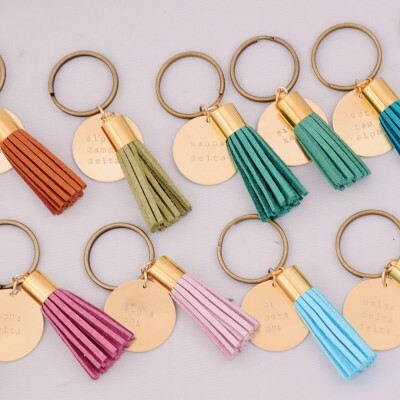 Our topselling suede tassel key chains bring the California cool vibe to you and your new member class. A subtle way to accessorize your chapter pride. 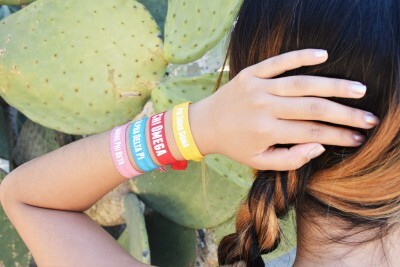 Tie it all together with our elastic hair ties, available in your sorority colors! Wear it as a spirit bracelet on your wrist or as a sorority pop of color in your hair. Another great accessory for those throw what you know photos that all your new members will be snapping endlessly throughout the fall. Love what you see? So do we! If you spy something you love, don’t hesitate to reach out and ask us about it! Shoot us an email at sisters@alistgreek.com! This entry was posted in Greek Jewelry, greek life jewelry, Members Only: A blog for chics and Greeks alike. and tagged Bid Day, New Member, Recruitment, sorority, Spoils.